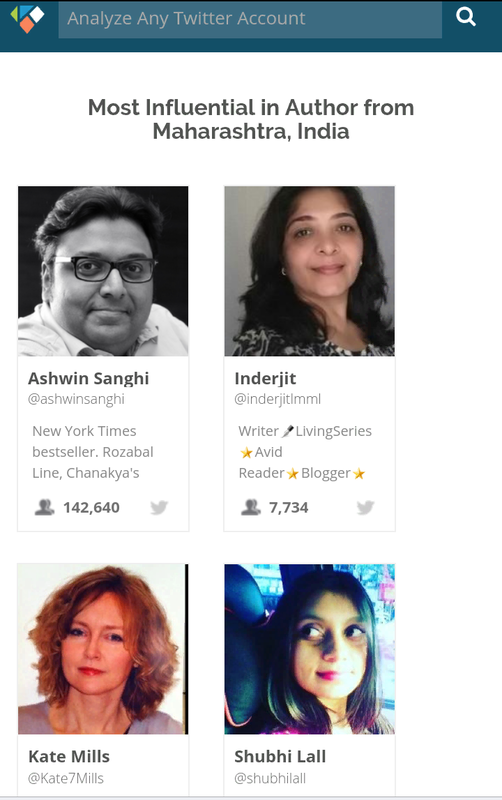 Guest post on Readers’ Muse? Heck yeah! It’s on. Thank you, Dhivya, for inviting me to stop at your site on this virtual tour. Today, I am writing. No hashtag required. I’ve walked a couple of miles on train tracks, over a bridge, and through the woods to arrive at this cafe, Not Grandmother’s House. Several routes exist between here and home, and one passes near enough to the Pacific to hear the waves crashing as I go. It’s a great way to start the day, and wonderful way to work. And I do mean work, because most of writing - well, my writing anyway - doesn’t happen while I’m hunkered down in front of my keyboard. Sure, the necessity of words filling pages drives schedules, so I force myself to sit down in front of these 192k pixels, interrogating each to determine which should be black and which white, but if I haven’t had time for some preprocessing (Carlin’s deriding me from his grave) then I’m not writing; I’m staring. I’ve actively pursued a career as an author for 20 years, and I don’t think there is any way around that initial, unknown time investment. I worked in kitchens in another life, and one of my favorite chefs used to say, “It’s done when it’s done.” He didn’t have more than a rough estimate of cook time because he frequently created new dishes, as experiments or to compensate for changes in produce. To be clear, the writing like the dish isn’t complete once all their respective ingredients have been selected and arranged. At some point, you have to put everything together, cook it, and see what you’ve got. Sometimes more salt and pepper, and sometimes wine. Sometimes a favorite character has to die, and sometimes, I need to start over. I like to think that my experience helps me make better decisions, to start over or throw out bad ideas sooner, but that’s not always the case. Anyway, the point is that both processes are required. The open-minded, freeform exploration of an idea is just as important as the writing, including editing the poop out of it. (Keep it together, Safronoff, this is a family blog.) Both require time and effort. Both are work. One looks a lot more like work than the other, but as far as I’m concerned they’re the same. So the next time you’re on a walk, or you wake up in the middle of the night, or you stay in bed all day like an eagle hunting prey, remember, you’re on your way to becoming an author. ;-) Seriously, if you want to write give yourself the time to think. You still have to put words down in a particular order at some point, but finding your rhythm, knowing when to follow your thoughts, and when to lead them, is key. I hope something in there is helpful! Experiment with your rhythm, figure out what works best for you, and keep going. Thank you for reading! HOW I GOT THIS BOOK: I thank Laura Fabiani of iRead Book Tours for this review copy! 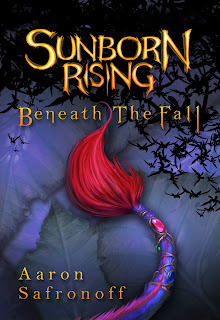 Sunborn Rising - the title and the cover are an amazing combination that lured me to pick this book. A single tail threaded with what looked like baubles (though it took me some time to work that out) and the overall blue theme attracted me. The summary seemed a bit common for a book from this genre, but the word 'illustrations' got me involved and I thoroughly looked forward to reading it. The book began with a young Listlespur going into a sacred space that is her father's study. She finds a journal that totally shatters the images she had of her father, shifting her axis of truth. She finds the details of a plague her father had predicted and from there the story holds me with a gripping intensity about something as simple as a Creepervine - rendered much more horrific with each passing descriptive line. The rest, as they say, is quite how the story is expected to go. The young Barra joins hands with her friends and explores the world to find out and if possible avert or correct what her father feared. To finish what her father began, Barra begins her own exciting journey. The book is dotted with an interesting storyline. There are many moments where I am quite drawn into the narrative, often wondering if the book might actually suit 'all ages' as it proclaims. Most passages do not seem like they are written for kids or pre teens (and that does NOT mean that the book achieves this through use of violence and profanity or sexual content). The writing simply is manages to be both mature and simple to understand throughout the book and thankfully maintains an even pace. If you do manage to get into Barra's world, the writing holds you back enough to have the urge to know what happens next. The major plus point of the book is the abundant use of illustrations. They bring to life the characters and help associate the shapes with the descriptions. This is actually essential for a fantasy novel that involves characters of a different species where it is left to the user's imagination to know whether a particular character looks like they thought it would. The illustrations help a great deal in bringing us into the world that is described in the book. The writing, illustrations and overall narration draw you into a story that is quite commonplace, taking on the formulaic approach of this genre. Read this book, not only for the artwork and writing, but if you really want a nice story that really spikes your interest in this genre as a whole. For those who have read many fantasy adventure books earlier, this book has something new to offer. Give it a try and you won't regret it! The beautiful illustrations - they add value to the already interesting story. The writing is near perfect - it draws the reader in, making sure they keep turning the pages. 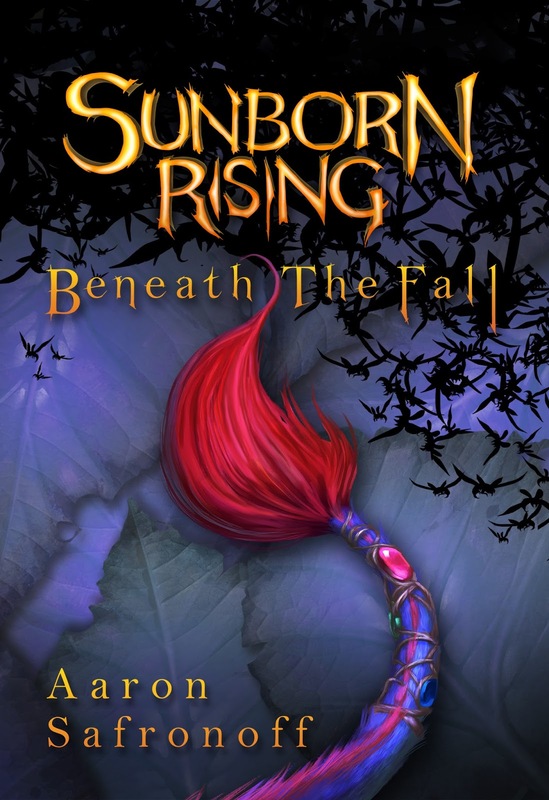 Another fantasy series - but with beautiful illustrations that bring the world live to you. "Patience helps you endure all the troubles and issues that bother you. When you reach a stage, where the only remaining option is to release the things that are clinging on to you and pause your life, you feel enlightened and feel the positive impact of the change, and you no longer see yourself a victim of life. 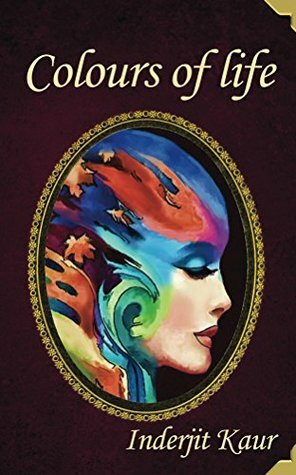 Kaleidoscope - Colours of Life is a of inspiring stories, suggestive poignant thoughts and ideologies that serve as a guide in every stage of life. Interlaced with threads of experiences of life and the lessons learnt from them, the book depicts seven inspiring stories weaved into the magnificent array of a rainbow. 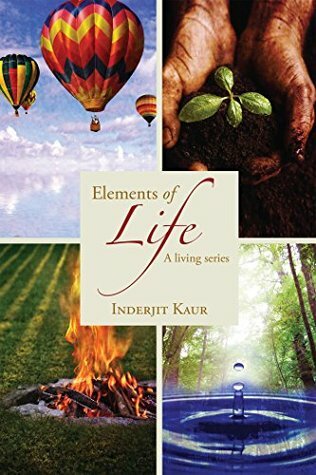 Charting the various shades of life, the book further highlights the ups and downs of each of the characters, who are embedded here as a metaphor for a rainbow, in the patio of a plethora of circumstances. 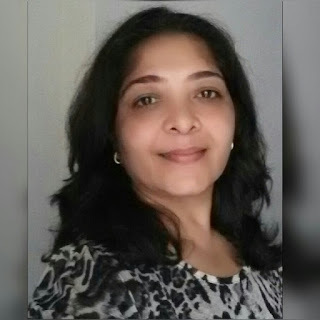 By sharing wisdom, experiences and insights, Kaleidoscope - Colours of Life intends to deliver a message that will inspire and empower the readers to sense happiness and contentment, and help them to navigate life as a truly confident individual." I thank the author and The Book Club for this review copy. The first thing I noticed about the book was the cover. While I could get a basic idea about the contents with the title, the cover image summed it up perfectly. Placing the colors inside the head was a clear indication of what the book was going to be - the power of a positive mind and facing life's obstacles. 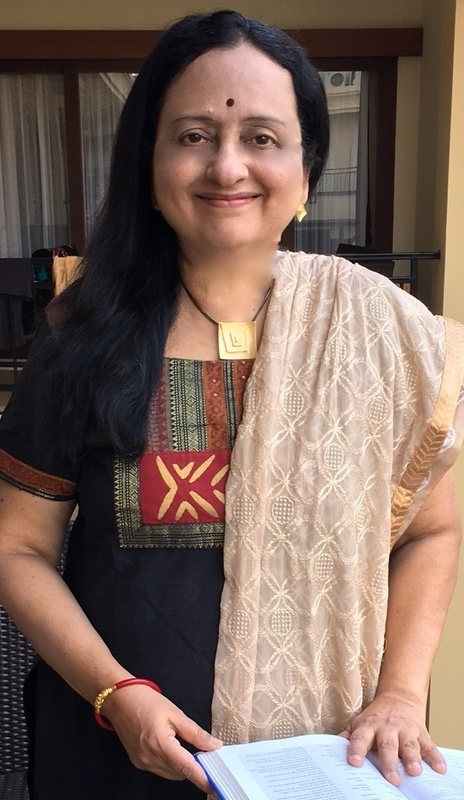 Simply put, the book is a collection of experiences and life tales, often taken from the author's own life, inspired the people she had come across or met, and those who somehow impacted her. The first part contains the stories of the seven hues of the rainbow, attributing one particular color to an event and a life lesson. The other parts contain little snippet and life lessons with the author's interpretation of the same. The book contains quotes at regular intervals, regularly dotted throughout the narrative. The author's struggles and inspirational life are clearly a huge influence on the book (naturally) and each 'chapter' or 'essay' as it could be called is full of deep insights into life and the various googlies it might throw at us. While the book mainly talks about things we should already know and apply in our life, there is something alluring about the way the author has written it. And after all, reading it from a person who seems to know what she is talking about makes much more sense. But there are some things the book could have done better. No matter how inspiring the message is, the tone becomes slightly commanding and the life experiences seem moulded and adapted to the messages the author wanted to convey. The language, though, is good enough and uses the right words to convey the right things, is not overly flashy or littered with unnecessary jargon (as is often the case with such books) and is devoid of any glaring errors. This helps a lot in sitting through the book, reading about virtues that need to be inculcated. The major pluses are : associating hues and colours to each emotion and tale, spreading inspiring messages that might make someone take a different outlook on life. The language is good, with minimal grammar and proofing errors. Things that could have been better: the tone of the book could have been a bit more reader friendly and nonpreachy. The stories, though real, did not quite get the effect they should have, at least for me. Inderjit Kaur is an author, motivator with a powerful voice of spreading positive words through her writings. A highly influential blogger and inspirational guide who with her tag line ‘Keep smiling, keep shining’, has brewed up with the original concept of living through her books of A living series. HOW I GOT THIS BOOK: I thank the author for the signed copy with a note that she sent me. This book becomes a treasured copy of my growing bookshelf! Thank you, Meera Shiva for the amazing note! I am still in awe of that beautiful handwriting. The road to redemption is the one less taken. But when one decides to take the road, it is with this gumption and faith - "Come what may, I will face it because at the end of the road is my peace!" Hotshot California-based businessman, Abhimanyu Singh is responsible for the death of his pregnant girlfriend, Samantha Sen - an attractive Los Angeles - based attorney, in an unfortunate car crash. He walks out alive, a shattered man, realising he will never be the same again. Wanting to find redemption and himself, he leaves for Darjeeling, India. He meets the beautiful and independent Megha, who's fighting her own battles. They are attracted to each other instantaneously! Will Abhimanyu and Megha find it in them to surmount adversities? Will they find faith and courage to believe, love and live again? Will Abhimanyu find the redemption he seeks on the road between now and forever? The book arrived home as a review copy. But to put it at that level would be totally unfair to the beautiful message and the note that accompanied it. The way the note was phrased, (it eventually became my bookmark for the entire duration of reading the book) made me happy to note that such a sweet gesture could still happen. Having always been a fan of the written word, especially the 'handwritten word' (okay, bad pun, I know!) I was bowled over by the personalised message and the signature that I will treasure forever. Special thanks to the author for this. As to the cover and the summary - simple yet striking enough to make me pick the book up had I seen it in some random book store. I was hoping the story would hold my attention as much as the cover did. Pro tip: If you really want some extra details about the book and its conception, don't miss the Foreword written by illustrious people! A self-confessed M and B fan, the author begins this book with a totally unpredictable sequence. Abhimanyu Singh - young, commitment-phobic, hotshot businessman hears a devastating news from his girlfriend, the charming and successful Samantha Sen. In a rage, he drives recklessly and causes an accident that takes away her life and leaves him a shattered, broken man. Completely blaming himself for the accident and loss of life, he lives with the pain and one day, decides it is all too much and goes to India (Samantha's homeland) in search of redemption. Having no clue as to where her grandparents lived, and not having the guts to approach her parents, who clearly blamed him for the accident, Abhimanyu finally manages to glean a little information about Jayanta and Mitra Sen from snatches of conversation he had had with Sammy (Samantha). 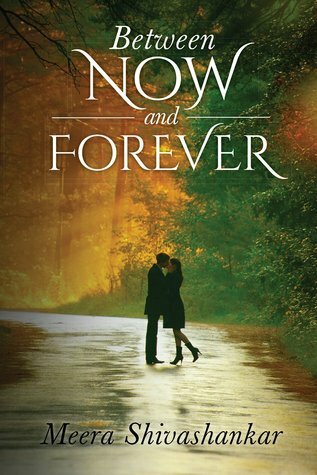 From the way the author described his pain for not having listened to her words better when she had been alive and the way he desperately clings to fading memories to find out something he dearly wanted, I began loving the prose aspect of the book. The old school charm was very evident in the subtle but deep words used to describe emotions, thoughts, and feelings. Abhimanyu comes to India and in the train, he meets Megha Rai, the young, beautiful pediatrician who travels on the same coupe as him. The attraction is instant, confusing and even better - reciprocated. In what could be considered a predictable way, he learns more about her. Megha is previously introduced as the wife of an irresponsible manager of the estates of Jayanta Sen and someone who stays back in the city after his death because she loves the place and the elderly couple as her own. 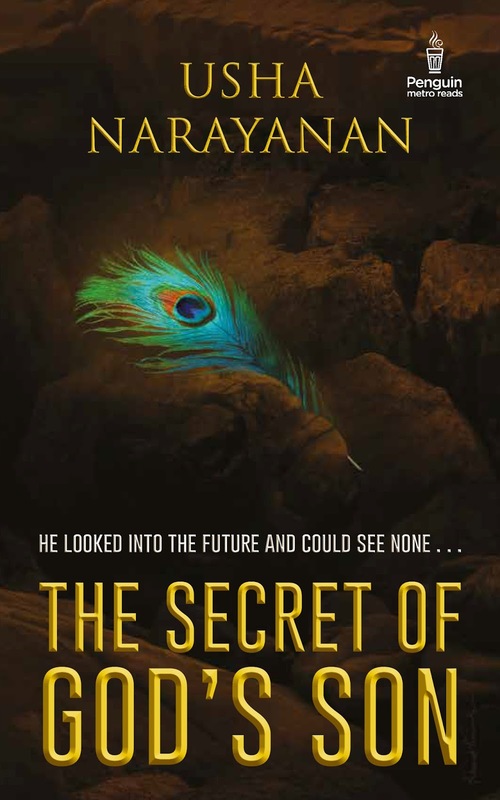 Abhimanyu is stunned and shocked to learn of the connection the beautiful lady had with the very people he wanted to meet and his belief that fate had brought her to him are fueled further by knowing that Megha had a kid named Samaira (Sammy). 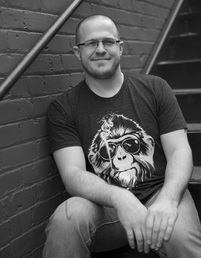 The name connection draws him in and a major plot reveal happens. Abhimanyu's arrival at the Sen estate is seen as a solution to many problems, those of the elderly Sens and the estate they are on the danger of losing, Megha and the custody battle she is fighting for her child and Abhi and his own path to redemption. From there, the story is pretty straightforward, not resorting to the cheap tricks like subterfuge, mind games, break ups, relationship hurdles and of course, the drama and all the pain that is considered the staple of romance novels these days. What I loved the most about the book was the mature love story that happened between the lead pair - even though their own attraction seems a bit dubious and opportunistic initially. I could not shake off the feeling that the pairing of Megha and Abhi seemed a tad unrealistic and all too sudden. But as the story progressed and the author veered towards the ultimate purpose of the novel, concentrating on the more serious things that needed to be taken care of for the romance to flourish (provided the lead pair was up to it and wanted it) I began looking at the book with a different perspective. Abhimanyu does not resort to unbelievable heroism and machismo to impress the Sens. (Special thanks to the author for writing about how men could be emotional too.) Megha does not swoon over and go weak in the knees every time she sees him. The underlying current of tension and the pain of knowing that there will be an inevitable separation keeps the couple distanced and focused on the real purpose of their lives. The book does have its share of mushy moments (M and B influence very visible), but it is a welcome change from the whole 'only you, me and us' concepts of romance novels these days. There is only enough focus between the lead pair and their own issues (coming out of the pain of a relationship / marriage that ended quite abruptly, by death, in both cases). The rest of the story focuses on the other important things like Abhimanyu finally finding out what he must do to gain the redemption he sought. The clarity of emotions portrayed throughout the book is amazing and I would take back a few valid lessons from this. For those very few who would feel that the story line is way too predictable - this is all I would ask. By reading some other stories, were you too numbed by unpredictable drama, gruesome violence, steamy scenes and the unquenchable need for something more dramatic and racy that you could not accept a realistic story for what it is anymore? For a character who was not even alive for the first few pages, Samantha Sen forms the crux of the story and is made immortal in our hearts a la James and Lily Potter of the famous Harry Potter series. (One of the most popular fictional couples to have so much influence on many people in spite of being dead for most of the series). There are no major villains or cringe worthy cinematic twists to the story, but what I really loved was the mature portrayal of love, and the way the author managed to bring out the lust between two young people who are soul searching. It maybe due to the influence of more and more books with American English that I have gotten used to reading of late, or it might be because I really did not like a few words in the English language, some parts of the book jarred me in places. I could not refrain from commenting on the excessive exclamation marks or the lack of commas where they were needed. While they did not really ruin my reading experience, proper usage could have made the book a much better package. The character of Samantha Sen - I like her in the few words that described her character and she stood in my memory. So did little Samaira. The overall story, stressing on the importance of seeking redemption - a trait that is slowly disappearing. For a villain who was portrayed with such an alarming build up, Shakuntala Devi fell flat. I did end up feeling like Abhimanyu did and could only pity the frail old lady. The exclamation points and lack of commas made me alter my reading tone in my head and I felt they could be corrected to smoothen the flow of the narrative. A book that leaves you with a good feeling, and teaches you a thing or two about how complicated love could become. 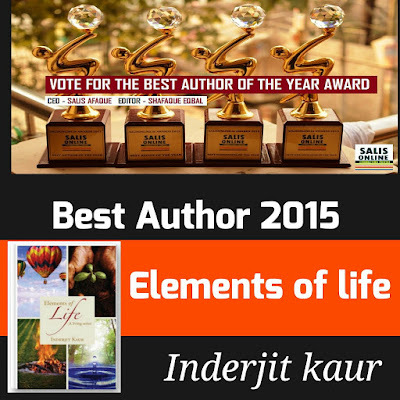 If you want to know more about the author and her other works, go to her website! HOW I GOT THIS BOOK: I thank Debdatta Sahay of Book Review Tours for this review copy! In an age when families are becoming more nuclear, Karthik's family was an aberration: It was a large joint family with its own complications, contradictions, and commonalities. Two love stories and a wedding get intertwined within the family at the same time. One of them could make or break the joint family, will the family survive? Will the love story succeed? Will the younger generation respond to the needs of the family? How will the older generation respond to the changing perceptions of the younger generation? Will the family ecosystem survive? In an India swamped by globalization, this racy and humorous story tries to dissect the generational changes in Indian society and how the Indian society is responding to the changes. The cover looked simply stunning. It was the first thing I noticed about the book (guilty as charged) and I immediately wanted to look at the blurb and other details. The beauty of the cover is such! The summary is small but has enough in it to entice my attention. I expected the story to be generic and predictable but a fun read with a message. One of the most beautiful things about India as a country is its diversity. Traveling just a few miles in this country could bring you to a place with an entirely different / language and culture that is equally interesting and brilliant like the one in the region you just crossed. Each place has something to offer, be it the cultural values or the unique stories and folklore. India as a country is amazingly captivating in its diversity but no matter how far you are from your home region or what language / culture is prevalent there, certain things remain similar. First of them is the family values, with ours being one of the very few cultures where the 'joint family' system is still prevalent. And the next common thing that unites Indian family members, both young and old, is a wedding. The trials, tribulations, fun, anticipation, confusions and the many memorable moments in an Indian wedding make it a real life roller coaster where you are not quite sure of the next twist / turn the family might cook up. I picked this book up when I was going through the wedding preparations of a cousin - and I could not have chosen a better time. Though I am not sure that the events of the book will come to pass in real life, it was a very relatable read. Joint families are dying a slow death in a country that prided on them, as each nuclear family moved out to create some breathing space and privacy for themselves. But come weddings, all the aunts, uncles, long-lost forgotten people would all come together, each bringing with them a piece that shall help confuse or complete the main picture. JAMBA deals with one such wedding happening in a joint family and the issues that come with it. Narrated in first-person, the plot and the story itself are generic - a wedding is planned and all relatives assemble to contribute whatever they could to the whole thing. While the older generation busies itself in planning, the newer generation comes to terms with their own identity in the sea of cousins and relatives, trying to maintain their modern outlook and individuality without hurting the family sentiments in any way. 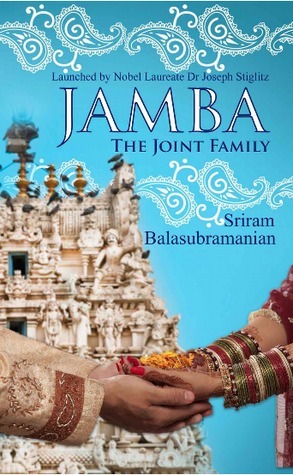 From the cool matriarch to the trouble maker relatives and the equation of 'give a bride, get another groom for a girl in your family', this book has everything you would expect to come up in a wedding, especially one based in the TamBrahm community of Tamil Nadu in South India. While I enjoyed the story as a whole, relating with everything that happened, knowing very well that it was all feasible, the story was a great read. I found myself agreeing with Karthik and reflecting his mood throughout the book. The younger generation's need to be accepted yet left alone, the older 'uneducated' people's wisdom and the emotions that are turned up a notch during weddings are all beautifully brought out. Unsolicited opinions and well-intended goof ups are all part of the grand saga that is an Indian wedding where nothing is sure until it has actually happened. I read through the book in one sitting and was quite drawn to the story. Though I did find typos and the rambling words noticeably hampered my speed, the overall reading experience is still worth mentioning as good. I enjoyed the characterisations the most, and could, (in my mind's eye of course) compare some real life people to the characters of the story. The predictable story line had some twists in between and unless you are a seasoned Indian, you would not be able to predict them. But having been taught the skill of expecting the unexpected since childhood and rooting myself in a huge joint family, I found myself giving tips to the narrator and that involvement in the story was brought about by the author, deserving special praise. In one sentence, this is a story that would explain why calling a cousin as 'cousin brother/ sister' is not wrong usage as far as Indian English is considered because some cousins are as good as sisters and brothers, sometimes the best of friends. SPECIAL MENTION: Very few books have managed to impress me like this one did where they typesetting is concerned. The Kindle copy provided a great reading experience and was visually pleasing, helping me complete reading the story quicker than I normally would. Breezy novel, the pace does not slacken at any point. I have often found issues with hindi words used in the narrative of certain books to the extent where my reading speed was hampered. Though I did not face that problem with this book (with it using words from my mother tongue) I did notice certain location / region specific words that might not be understandable for people from other states (even with the glossary). Read it for two reasons - the humorous way in which it is written and for the simple joy of remembering your own family and childhood. Besides this, he has a Masters degree from University of Southern California and is pursuing another degree at Columbia University in NYC. He is also authoring another book on the World Chess championship which was held recently. He is very passionate about India, its cultural ethos & socio-economic evolution.